Last Thursday, Brad and I ran the Turkey Trot in Fish Hawk. 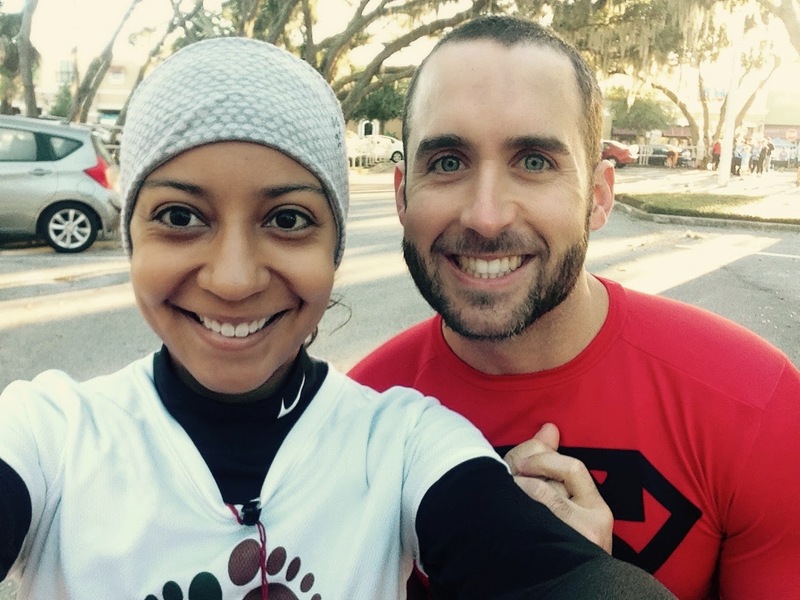 It was a very cold morning but that usually means happy running in Florida! I ran multiple times around the parking lot for a 1 mile warm up. We even got to see some of our BRA (Brandon Running Association) friends! Yes, those are ear warmers in Florida! I haven't raced a 5k since October 2013 when I finished in 26:22 (8:24 avg pace) and I was almost throwing up at the finish line trying to catch up to a girl in front of me. 1st mile - I can try to run around all of these people who were lined up in the 8min mile group, let me jog on the side walk and try to keep behind my running buddy Randy.... I think I can keep this 8:04 pace! 2nd mile - Okay, I lost Randy but here comes Esther! I know she is fast but maybe I can try to keep up with her. I really wish that my phone was working right now so that I can listen to a little bit of music... maybe i'll just sing to myself. I am going to stop at the water stop, I'm feeling a little thirsty! I'm struggling to keep my 8:10 pace! 3rd.1 mile - I don't know if I'm going to PR. This long sleeve is really making me sweat, I've stopped at both water stops and I just can't keep my breathing while going this fast. 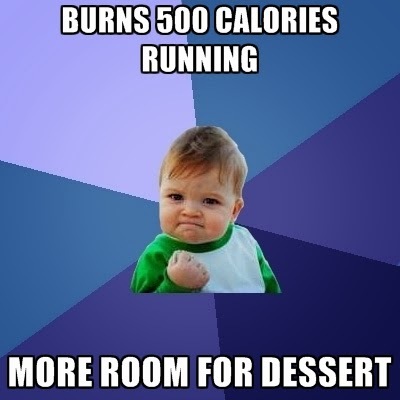 I need to slow down and walk/run some just to finish! Why did you go out too fast, Stephanie? Boooo, look at the "up hill" slope near the finish line.